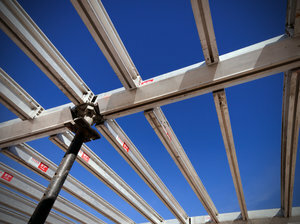 TITAN provides some of the most unique framing systems available with lightweight and ready to install systems. Compared to a conventional "stick" style or 20k scaffold system, TITAN's systems are capable of saving up to 45% of traditional labor, significantly reducing costs and injuries. TITAN's bread and butter: a cutting-edge handset, modular drophead system features lightweight aluminum capable of shoring up to 18'10" (5.8m). Our 25k lightweight, modular and all-aluminum tall shore is capable of single post shore heights up to 24'8" (7.5m). 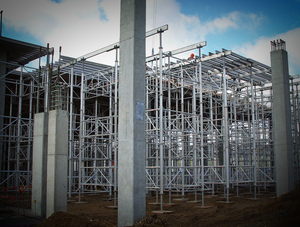 Our 20k aluminum shoring system is intended to carry heavier loads and decks over 20' (6.1m). Our lightweight and fully assembled platform enables efficient material handling with a crane.